Catch us on the webcast! Jet Cities is getting ready to hit the stage in Spokane for our regional competition on April 6, 2019, and you can watch us on the Region 13 webcast! The webcast URL is http://www.region13webcast.com. Chorus Contest begins Saturday, April 6 at 11:20 am PDT, and the webcast will go live at approximately 11:00am. Jet Cities is contestant #7 and is estimated to be onstage at 12:39pm, but times can vary slightly. Touchstone, one of our chorus quartets, will be singing the day prior (Friday, April 5), at approximately 12:54pm. The webcast is FREE, however, a minimum donation of $25 would be greatly appreciated to help our Region continue to provide this service. Make a donation in appreciation of, or support for, your favorite chapter (like Jet Cities!) or quartet. Or just because you love barbershop music! Webcast will be live only; no archives will be offered. Come join us in welcoming the holiday season with song. 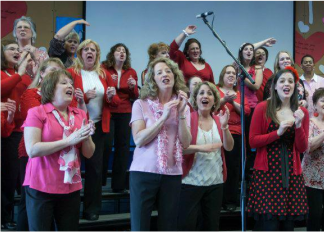 Jet Cities Chorus is offering FREE VOCAL INSTRUCTION to all interested women! You will soak up lots of vocal instruction, make new friends, and then top it all off by joining us on stage at our Holiday Show on the afternoon of Sunday, December 9th. Federal Way Performing Arts & Events Center 31510 Pete von Reichbauer Way S Federal Way, WA 98003 Enter through the back loading dock doors. Sing in the Holidays With Us! Nikki Blackmer will be coaching Jet Cities on Friday and Saturday, February 22-23 in Puyallup and you're welcome to come watch! Nikki is currently the director of A Cappella Joy Chorus, as well as the lead of the 2017 Sweet Adelines International Quartet Champions, Frenzy. She is talented, dynamic, and fun, and we know when we emerge exhausted at the end of Saturday, we'll be a better chorus because of her! Our retreat is from 7:00-9:30pm on Friday, then continues on Saturday from 9:00am-5:30pm. It will be held at Puyallup United Methodist Church, 1919 West Pioneer Avenue in Puyallup, WA, 98371. We hope to see you there. Congratulations to Jet Cities Chorus member extraordinaire Sue Middleton, winner of the 2017 Heart of the Northwest Award. A member of Jet Cities Chorus since 1989, Sue is also a dual member with Pride of Portland (and past dual member of Pacific Sound). During her years with Jet Cities, Sue has been President/Team Leader (three times! ), Membership Chair, Music Team Chair, Publicity Chair, Show Chair, and webmaster. She’s currently the Visual Team Leader, which oversees the costume, hair, makeup and choreography committees, and has been a member of the front row for all but one year of her tenure in the chapter. Additionally, Sue is (or was) involved with various activities and committees with her “second homes” at Pride of Portland and Pacific Sound. Please join us for music and a slice of pie at Jet Cities Chorus' 14th Annual Sweetie Pie Social: The Game of Love. This fun afternoon is set for Sunday, February 11, 2018 at Todd Beamer High School, 35999 16th Ave S, in Federal Way, WA 98003. Doors open by 2:00 pm for pie; show begins at 2:30 pm. Entertainment by Jet Cities Chorus, under the direction of Ken Potter, with special appearances by our 2018 Performance Opportunity Program guests! More groups are on the schedule, too! There will be raffle baskets, a drawing to win a pie-a-month for a year, and extra pieces of pie available (whole pies, too, in case you want to continue the celebration at home!). Here's a flyer you can download and share with your friends! Jet Cities will not be rehearsing on Labor Day, Monday, September 4. If you were planning to come and visit, we hope to see you the following week at the usual time and place. OR...you can come and see the chorus perform at the Washington State Fair in Puyallup on Sunday, September 3, at 2:00 pm. We'll be on the Education Stage in the Pavilion Building. Fair information is available by clicking here. Join us at 7:30 pm on Monday, April 24 at Family Life Community Church at 1925 S 341st PL in Federal Way as we pack our bags for Spokane and regional contest. We will be running a full dress performance/rehearsal for the chorus and our competing quartets. Admission is free, but donations to the chorus and quartets are always appreciated! Jet Cities Chorus came home from the 2016 North by Northwest Region 13 contest with Most Improved and Fourth Place medals! Having only been directed by Ken Potter for four months, this was an extra-exciting surprise. You can watch the performance on the video to the left. Additionally, two of our members were in Top 10 quartets. Special congratulations to The Four Get Me Nots, who took 7th place and to Wink, who won the whole darn contest! We're very proud of them. Interested in joining us as we start the journey for NEXT year? Please come visit a rehearsal! You'll love it! Most Improved and Fourth Place! Todd Beamer High School is closed for spring break, so we'll be rehearsing at Calvary Lutheran Church, 2415 S 320th St in Federal Way, WA. 6:45 pm. Hope to see you there! Due to the President’s Day holiday, Todd Beamer High School will be closed on the 20th. Please join us at St. Luke's Lutheran Church. The address is 515 S 312th St, Federal Way. It's not that far away! This evening will be a coaching session with the amazing Mo Field. If you are already in the membership pipeline, you are welcome to join us on the risers. Observers are absolutely welcome! Jet Cities has named Ken Potter the new director of the chorus effective June 1. The chapter is thrilled with Ken's progress with the chorus, as well as his amazing musical knowledge, and decided to make the position permanent. Ken is a professional musician with a long history in voice instruction, arranging, and choral directing. A 25-year member of the Barbershop Harmony Society, Ken has been an assistant director, director, arranger, and coach. He is currently a certified Music Judge in the Society, has directed two Sweet Adelines' choruses, was assistant director of the Masters of Harmony Chapter, and is currently the director of Northwest Sound Chapter in Bellevue, WA. To learn more about Ken, click here! 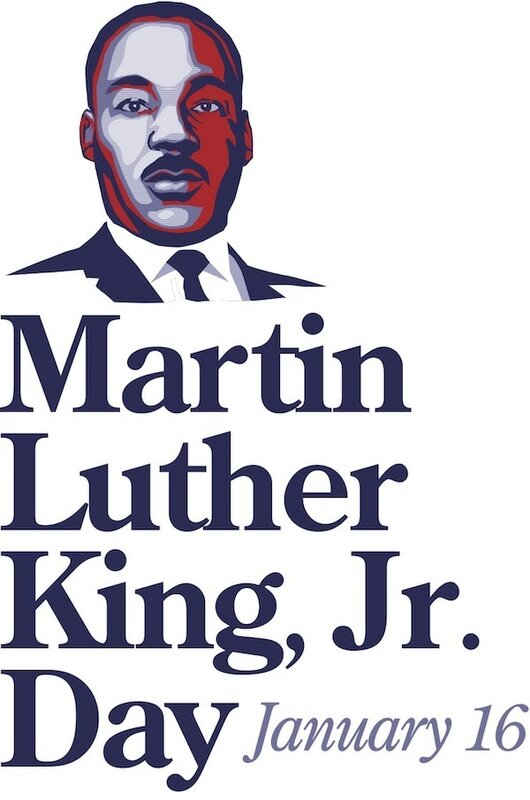 Jet Cities Chorus will be rehearsing on Monday, January 16, 2017, which is Martin Luther King, Jr. Day. However, we will not be at our regular rehearsal space. We will be rehearsing at Puyallup United Methodist Church on 1919 W Pioneer Avenue in Puyallup. We would love to see you there! We will be back home at Todd Beamer High School on Monday, January 23, 2017. Jet Cities Chorus will not be rehearsing on the following Mondays: December 19 and 26, 2016. If you were planning to come and visit, we hope to see you after the holidays. We will be hard at work and having fun beginning on Monday, January 2, 2017, but you won't find us at our regular rehearsal space. We will be rehearsing at Puyallup United Methodist Church on 1919 W Pioneer Avenue in Puyallup. We would love to see you there! We will be back home at Todd Beamer High School on Monday, January 9, 2017. 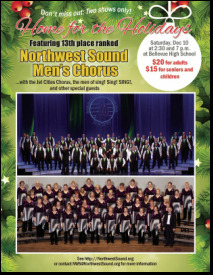 Northwest Sound Holiday Show featuring Jet Cities Chorus! You're in for two hours of locking chords and beautiful harmonies from Northwest Sound, Jet Cities, and top quartets. It's great entertainment for the whole family. Our Performance Opportunity Program (POP) guests will be joining us onstage for three songs, too! Tickets are available from any chorus member, or email Sally to claim yours. This show is likely to sell out, so please don't count on getting tickets at the door (plus, they'd be $5 more if any were available). 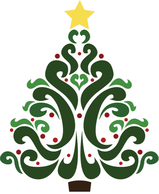 Sing In The Season with Jet Cities Chorus! Have you heard Jet Cities' (now famous!) Seattle Seahawks "12 Wo-Man" song yet? 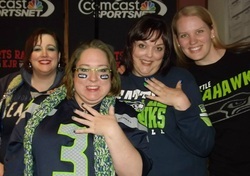 Written by our own Melissa Martin, the chorus has had the thrill and privilege to sing it to football fans via YouTube, on KJR's Brian Abker show, and at community rallies. We're POSITIVE that all our good vibes helped the Hawks to rally and win the NFC Championship this weekend. Now we're getting ready to do the same for the Superbowl. If you haven't heard us sing our song, just click here! Our 12th Annual Sweetie Pie Social is coming up! We hope YOU make a date to join Jet Cities Chorus for our 12th Annual Sweetie Pie Social. You'll hear the chorus at our first performance with new director, Ken Potter, plus special guests, including our chorus quartets Wink, The 4 Get Me Nots, Peppermint Twist, and Mischief. The event will be on Sunday, February 28, at Todd Beamer High School, 35999 16th Ave S in Federal Way, WA. There will be raffle baskets, a drawing to win a pie-a-month for a year, and extra pieces of pie available (whole pies, too, in case you want to continue the celebration at home!). The doors open at 1:45 pm for pie and the show starts at 2:30 pm. Admission is $16.00 for general; $12.00 for students/seniors/military. Tickets are available through Brown Paper Tickets; some may be available at the door, but will be limited. Tables of 8 can be reserved! Just contact us by email! We hope to see you there! And feel free to share this flyer with your friends. We'd love to meet them, too. Ladies! The award-winning Jet Cities Chorus wants YOU to join us for six FREE group vocal lessons beginning Monday, September 15, 2015. Your group vocal lessons will be painlessly woven in while you learn two songs with the chorus. Then join us onstage at a community concert in Federal Way, WA and show off your new-found skills to your family and friends! Performance: Sunday, Oct. 25; 2:00 pm. Tickets for the performance are free! To RSVP or for more information: contact Kelly at 253.310.7796 or email kelly.s.hobson@gmail.com. It's Sweetie Pie Social time!! Join us on Sunday, February 8, 2015 for Jet Cities Chorus’ 11th Annual Sweetie Pie Social: SURVEY SAYS…the Love Edition! There will be entertainment by Jet Cities Chorus, plus Mischief Quartet, Peppermint Twist Quartet	and The Four Get Me Nots Quartet. Additionally, you get a piece of pie and a beverage with your admission, and don't forget our raffles and your chance to win a pie-a-month! YUM! Reserved tables for eight people are available! Get yours at Brown Paper Tickets, or contact us at jetcitieschorus@gmail.com	for more details. Tell your friends! Click here for a flyer.